Here’s a bird which might be considered as mundane by most European birders. 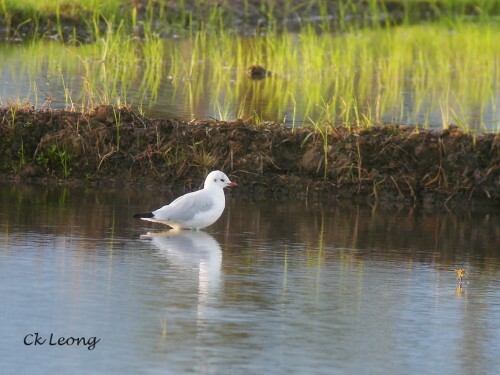 The Black-headed Gull Chroicocephalus ribibundus wintering in very small numbers in Borneo is instantly outstanding in that it is the only gull seen here. But for once, this particular bird was found inland in the wet paddies of Kota Belud. Even in non-breeding plumage, it still looks good. Hmm… from your web site, seem like paddy field in Kota Belud has more variety of migratory birds than Penampang Bypass..